Just been working on a project to build and design a small clock powered by an arduino, I ordered an arduino mini which arrived yesterday so hopefully will assemble this in to some kind of working clock / watch in the near future. This entry was posted in Hakology and tagged arduino, clock, diy, micro, project, prototype, real time clock, rtc on 21st November 2016 by caffeine. 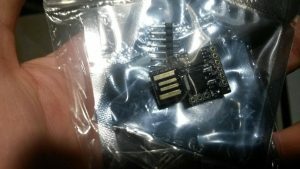 This entry was posted in Hakology and tagged arduino, led, linux, matrix, md_max27xx, RTLSDR, sdr on 11th November 2016 by caffeine. This entry was posted in Drones / UAV / RC, Hacking, Robotics, Technology, Video and tagged arduino, helicopter, reverse engineering, toy on 3rd July 2013 by caffeine.